By Tony V. Zampella, CEO and Designer at Zampella Group, Inc. Consider that leadership expands from not knowing. In these disruptive times of unpredictable change, leaders commit malpractice by thinking one can know all possible contingencies to any dilemma or strategy. 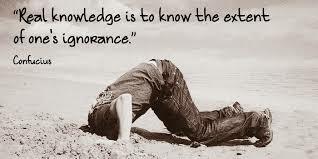 To feign knowledge is futile, and can be costly. Protecting an all-knowing mindset takes a toll on one’s physical and mental energy: such a mindset fears mistakes, dreads uncertainty, and resists saying “I don’t know.” It belongs in the 1990’s. Moreover, this all-knowing mindset gives colleagues a false sense of certainty, and discourages others from thinking, engaging questions, presenting ideas, or taking initiative. It traps leadership in one place at a time when it must course through the bloodstream of an organization. Our pace of change demands that leaders embrace the vulnerability of not knowing, and leverage the wisdom from those around them. Today, learning trumps knowing as the coin of the realm. This Rorschach view of life reveals who we’ve “learned” to become as observers. For humans, learning begins before we know or understand what is happening to us. During our formative years we learned how to cope with, and protect ourselves from, threats: whether through some personal crisis or disaster; or, currying favor as a middle child; or dealing with some insecurity at school or in our family. Those earliest moments became crucible moments to frame learning that lives within us today. When pressed to grapple with any uncertainty, we reflexively draw upon that readily available mindset to engage any perceived insecurity or threat. If as a child I learned to keep quiet or play it safe, my leadership is now constrained by a mindset that has me keeping a low profile and playing it safe when dealing with power, authority or supervisors. Even in the face of urgent action, I will gather more information, analyze the data, and develop a plan before I speak up. I am stuck with Maslow’s golden hammer: I leverage my one unexamined tool for any situation. At best I may refine this tool, but developing more tools is akin to an identity crises. This gets at first-person learning – to access my being shaped by blind spots, breaking points, and other gaps. This self-knowledge is priceless in an uncertain world with volatile change, increasing complexity, and unpredictable futures. 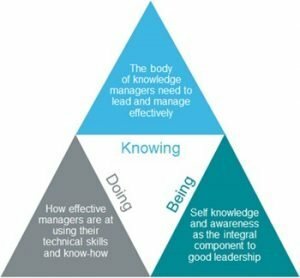 INCREASE KNOWING: Third-Person approach increases knowledge, to develop understanding or skillsets for a new job or project. Through study and research of a topic, we increase understanding, become knowledgeable, and produce better results. ENHANCE DOING: Second-Person approach leverage experiences through applying knowledge. This approach invites experimenting with topics that can improve processes and create better actions. EXPAND BEING: First-Person approach creates possibility, develops capacity or mindsets. This learning engages me as the topic, and distinguishes and transforms my views. 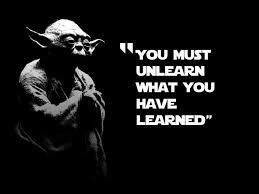 First person learning accesses our being. 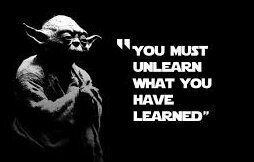 We unlearn closely held perceptions, assumptions, and beliefs that both lull and trap us into comfortable frames of reference. Still, which approach do you think conventional education offers? Right, third-person learning, designed from an era when knowledge was stable and change happened maybe once in a professional’s career. In that world we relied on knowledge to manage incremental change. Now … not so much. Today, knowledge, the once stable predictor to guide strategy, is now driving disruptive change. Professional skillsets have a half-life of five years and are dwindling. Regardless of our expertise or education, success requires increasing capacity or awareness: to “know thyself” will find us dealing with any situation as a possibility rather than a threat. Dalio understands the power and the pain of learning comes being vulnerable and not knowing. He has created a culture organized around this fundamental belief: To achieve success, most people allow pain to stand in the way of their progress; successful people understand how to manage pain to produce progress. Mastering vulnerability or not knowing begins with creating just a little space between our automatic thinking and our automatic actions (reactions). This requires a focus on listening and observing. These practices serve our clients well. DISCOVER: become aware of the defensiveness – as it occurs in your body. These preserve and protect your current mindset. PAUSE: When triggered by a situation, question or person … pause, connect to the floor (feeling your feet on the ground), and breathe. OPEN LISTENING: Now, listen again to the words actually spoken. If needed have them repeated. RELEASE: Identify existing judgments to loosen and lesson their grip. OBSERVE LISTENING: Notice if you added any defense, justifications, or if there’s any need for you to be right. OBSERVE TRIGGERS: Name any condition that triggered you: a word, action, body language, speed of conversation, confusion, overwhelm, time constraint, etc. PRACTICE: Implement these steps to slow down your listening. CREATE SPACE: Create one second (one-Mississippi-one) between what you observe or hear, and any reflexive speaking, or action. CHOOSE: Now … see if you can choose newly.